To be honest, iPhone is the best mobile phone in view of its outstanding design and splendid hardware, which is almost perfect. Nonetheless, every bean has its black. iPhone also has some flaws that can cause inconveniences to all users, such as fragile screen, closed system, and low-capacity battery. When it comes to iPhone’s closed system, many aspects will be affected. For instance, if you want to change a different ringtone, you can’t make it directly by transferring or dragging a song to iPhone just like Android. Now, here are detailed methods on how to make iPhone ringtone quickly. Up to now, this phone manager may be the most powerful mobile devices management tool as it can access to nearly all data of iPhone and Android phones. In addition, it also includes some characteristic functions. For example, you can use it to record iOS devices screen. Let’s see how to customize iPhone ringtones with this tool easily. You can select a whole song as your iPhone ringtone. Alternatively, you can also record any audio or cut the favorite part of a song with Steaming Audio Recorder and then set it as your iPhone ringtone. 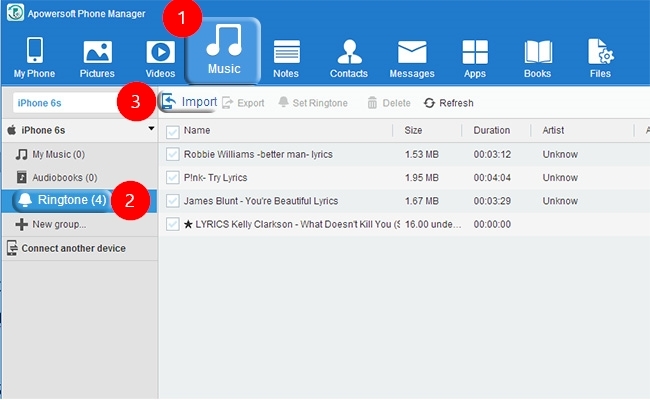 After you’ve made a ringtone, you can transfer it from PC to iPhone with the phone manager. Click the button here to download and install phone manager on your PC. Once connected, click “Music” icon on the top and “Ringtone” on the left pane. 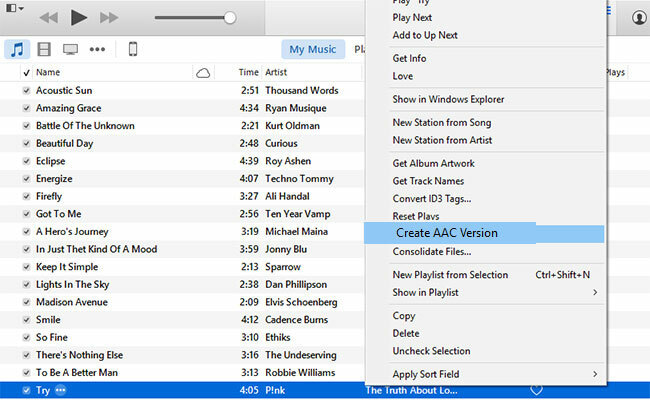 Hit “Import” button, then you can select ready-made ringtones on your PC. On iPhone, open “Settings” > “Sounds” > “Ringtone”, then you can set up one of imported songs as your ringtone. With so many ringtones on iPhone, why not make full use of them? You can set different ringtone for different contacts. On iPhone, select a contact and click “Edit” at the upper right corner. Hit the “Ringtone” option, then you can set a ringtone for him/her. In this way, you’ll know who’s calling you just according to the ringtone. iTunes is a traditional way used by many users to manage their iOS devices. You can use it to make iPhone ringtone. However, the process is pretty complicated for many newbies. Download the latest iTunes on PC. Run it and connect your iPhone to PC with attached USB cable. 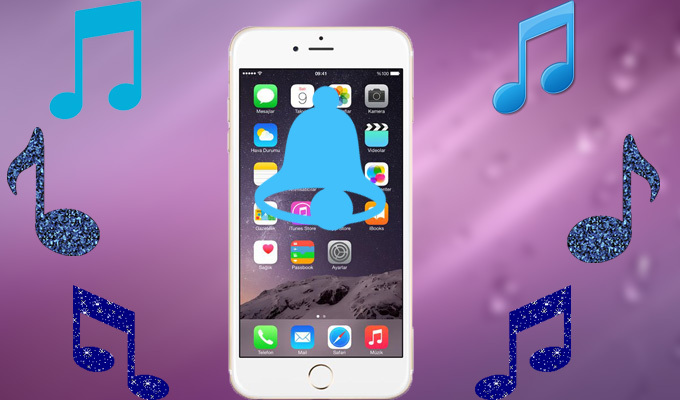 Open your Music library and locate the song you want to set your iPhone ringtone. Right-click it and select the “Get Info” option, then set up the start and stop time under “Options”. Note that the duration should not be longer than 30 seconds. 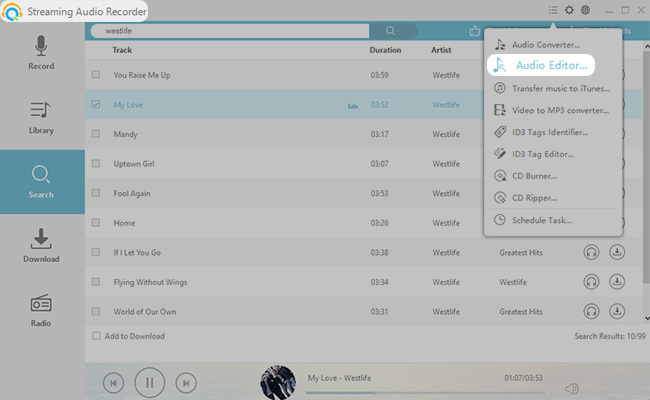 Right-click this song again and tap “Creat AAC Version”. Drag this short song to your computer and change its extension from .m4a to .m4r which is the default ringtone format of iPhone. Add the m4r song to iTunes library and you can find it in Tones. And you can sync it to your iPhone now. 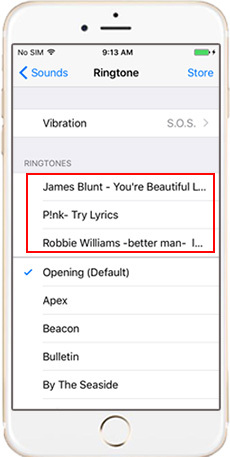 Finally, you’re allowed to set it as your ringtone on iPhone. The whole process is quite troublesome. By tapping “Sync”, you’ll lose all your previous ringtones on iPhone except default ringtones. 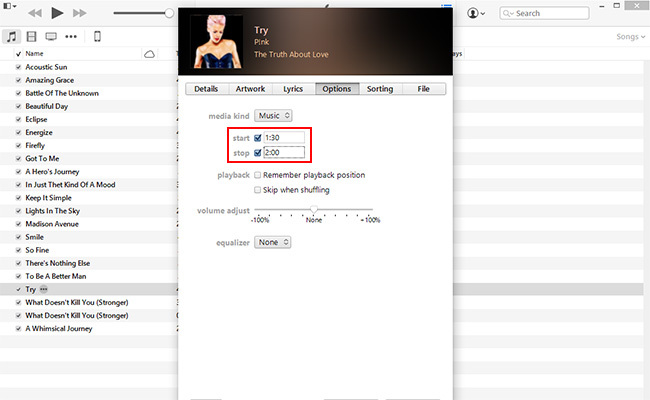 Using iTunes, you can only make ringtones limited to 30 seconds. You have to remember the start and stop time accurately. Both the third-party tool and iTunes enable you to set ringtone on iPhone. But compared with the awkward iTunes, Apowersoft Phone Manager is easier and more direct. Undoubtedly, it will be your better aid when making iPhone ringtone.